Politicians from the national parliaments and the European Parliament are meeting in Tallinn Creative Hub today and tomorrow to discuss matters of finance, budget, and economy. Holsmer stressed that as one of the objectives of the Conference is to exchange opinions, it will give Estonia the opportunity to present e-taxation solutions to its European colleagues, as these have taken us among the top European countries in the cost effectiveness of tax collection. Holsmer also said that it was time to start discussing transposing the stricter budget rules of the Fiscal Stability Treaty into the EU law. Holsmer explained that the Conference allows the national parliaments to exchange information and best practices that will help them to strengthen cooperation between parliaments and contribute towards ensuring democratic responsibility in the economic leadership and budget policy of the Union. 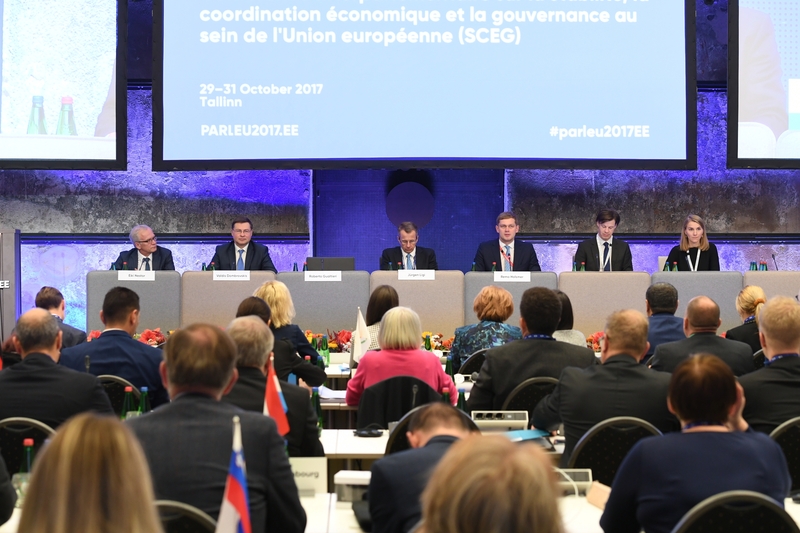 The Conference on SECG is part of the parliamentary dimension of the Estonian Presidency of the Council of the European Union. The delegates will be welcomed by the President of the Riigikogu Eiki Nestor. Keynote speakers of the conference include European Commissioners Valdis Dombrovskis and Günther H. Oettinger, Governor of Eesti Pank Ardo Hansson, Deputy Secretary General of Tax and Customs Policy at the Estonian Ministry of Finance Dmitri Jegorov, and Deputy Secretary-General of the OECD Mari Kiviniemi. 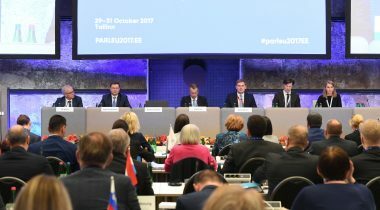 The conference is a public event and is streamed online on the parleu2017.ee web page, where you can also find its programme. The photo and/or video materials will be made available as soon as possible on parleu2017.ee web page, on the Riigikogu Flickr account, and on YouTube. We will share the thoughts of the participants in the Conference via social media in Facebook and the Riigikogu Twitter account. We ask all members of the press who wish to cover the conference to apply for accreditation online. The movement of journalists is restricted in Tallinn Creative Hub during the conference; the journalists can work in the press area, where they can view the live broadcast of the Conference and also conduct interviews. Please inform us beforehand of your wish to conduct interviews.